On June 23, voters in the United Kingdom (UK) took the remarkable decision to leave the European Union (EU) in a national referendum. The implications of the UK exiting the EU, a step that has become known as ‘Brexit’, could be enormous, particularly with respect to immigration and residency. With its currency in freefall and uncertainty around the future of free trade and free movement, British citizens — as well as Europeans currently living in the UK or thinking of doing so — are looking beyond the European continent for new opportunities. For many, Canada is the country that represents a positive vision for the future. As the results began to come in last week, and as it became clear that the ‘Leave’ option was edging out ‘Remain’, Google reported an enormous spike in the UK for the search ‘move to Canada’. The good news for individuals looking to move to Canada, either permanently or temporarily, is that Canada’s reputation as an open-minded country that welcomes newcomers is generally justified. Earlier this year, Canada’s Liberal government announced plans to welcome record numbers of new immigrants this year, with more expected to follow over the coming years. Most new immigrants to Canada arrive under one of its many economic immigration programs. Compared with other economic immigration systems in the developed world, such as those in the USA and in the UK itself, Canada has a highly decentralized economic immigration system. There are programs for skilled workers at the federal level and in each of the provinces. A major advantage for English-speaking candidates is that English proficiency is deemed to be a highly desirable commodity for these programs, many of which are points-based, requiring candidates to reach a point threshold in order to become eligible. These programs aim to be responsive to labour market needs and typically attract applicants who are educated, relatively young, proficient in English or French, and who have work experience. In many cases, skilled worker applicants can arrive in Canada with full permanent resident status within a few months. Individuals who have already done some research may be familiar with Canada’s Express Entry immigration selection system and the Provincial Nominee Programs, as well as immigration to the province of Quebec. Through these programs, hundreds of thousands of people from around the world have been able to realise their Canadian immigration goals. Skilled worker immigration to Canada, however, is a constantly changing and dynamic phenomenon that requires potential applicants to keep up to date on the latest trends in order to be able to make a successful application. Therefore, it is encouraged that individuals fill out a free economic immigration assessment form to learn more about their options. For entrepreneurs and investors, Canada and its provinces offer a broad suite of business immigration programs that come under the economic category. These programs typically require applicants to start or invest in a business in Canada. Entrepreneurs and investors can fill out a free online Canadian business immigration assessment form to learn more about their many options. For people who want to test the waters before potentially immigrating later, working or studying in Canada may be an option. 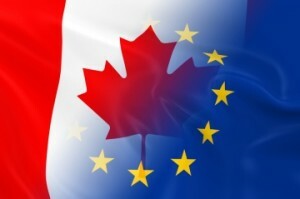 Of the 32 participating countries in the International Experience Canada (IEC) program, 20 are EU countries. Through the IEC program, young citizens from these countries have the opportunity to live and work in Canada across three categories: Working Holiday, Young Professionals, and International Co-op. The Working Holiday category, which is by far the most popular, allows individuals to obtain an open work permit for up to 24 months. With this, an individual can work for any employer in Canada. Other options for working in Canada include being hired by a Canadian employer and obtaining a temporary work permit, or coming to Canada as an intra-company transferee. Many people who eventually settle in Canada permanently initially arrived with temporary work status. For people who may be interested in continuing their education, studying in Canada presents some huge advantages. Not only do international students in Canada get a quality education, but they can also work while studying and remain in Canada after graduation. CICNews.com recently ran an article outlining all of the advantages of studying in Canada. “This is something of a Rubicon moment for Britain and the EU, which now has to take a long, hard look at the whole concept of free movement within its borders and partner countries. Naturally, many Europeans, including Britons, are scared about the implications of this vote and what the future may hold for themselves, their families, and their careers,” says Attorney David Cohen. “I was not surprised to see that online searches surrounding immigration to Canada have spiked over recent days. Canada enjoys friendly relations with Europe and has deep historic ties with the UK as its largest ally in the Commonwealth. The UK also is one of Canada’s largest export markets.